All of the license plates owned by NGM have estimated resources of approximately 153 million tonnes. This estimate is based on the studies of our predecessors (CVRD Vale and BHP Billiton) but does not fall under any international standard. On the other hand, on the two (2) best-known uplands, Bordeaux and Biniomi, the resources established according to the JORC international standard are 43 million tons. 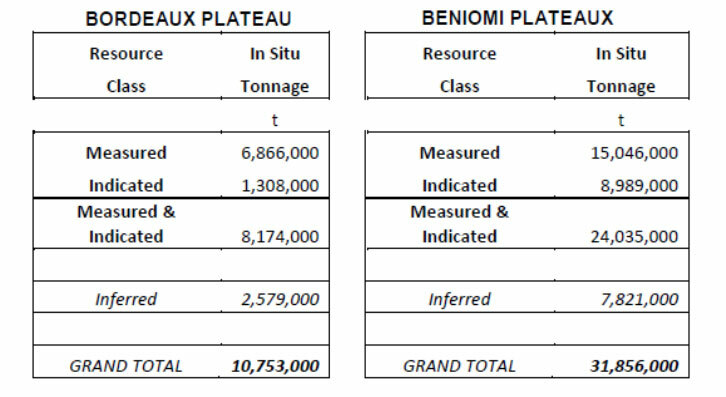 In terms of JORC reserves, these two (2) same plateaus total 33 million tonnes. On the basis of the exploration already carried out, additional studies and an exploration campaign will increase resources by 40 million tonnes. The recovery in terms of concentrated manganese at 42% on average is between 25% and 30% depending on the production areas, based on the results of the current production unit, which allows the production potential to be estimated. only Biniomi and Bordeaux trays to about 9 million tonnes of concentrated manganese. 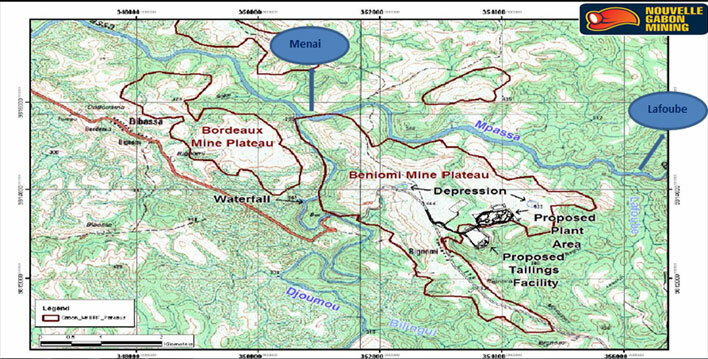 © 2019 Nouvelle Gabon Mining Developped by UWS Inc.